A Body of Work now released! MIND OVER MATTER: eight stories examine dark obsessions, consuming lust and the consequences of choices that can twist the mind to its own desires or bring release. UNDER THE SKIN: eight stories where the quest to master devices, environment or worlds leads to battles of survival that devour or shape into something new. 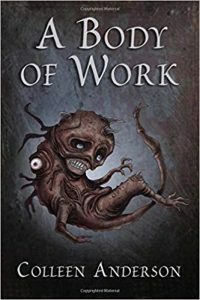 Savory teeth, sentient insects, deadly automatons, VR worlds, ensorcelled blades, nanotech healing, possessive fungus, gingerbread people, prophetic soap bubbles and more: this Body of Work is a stitchery of tales, a strange creature that is alluring, disturbing and thought-provoking. 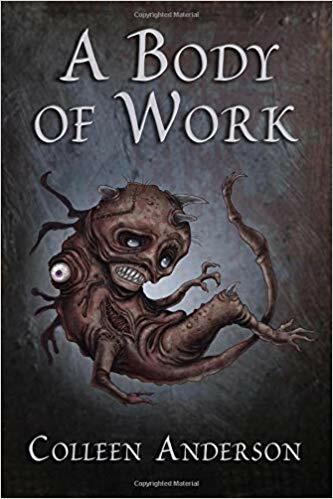 A Body of Work is available through Black Shuck Books and Amazon. Watch for upcoming launch events, soon to be announced on Colleen’s blog.